The pro-Government Nezavisen daily newspaper reports that Foreign Minister Nikola Dimitrov is the most likely presidential candidate for the SDSM led ruling coalition. According to the paper, Prime Minister Zoran Zaev is preparing for a major Government shake-down between the potential presidential candidates, which would see Dimitrov nominated as President, Radmila Sekerinska moved from Defense to Foreign Affairs and NATO adviser Stevo Pendarovski moved to her place. Zaev loyalist Oliver Spasovski, who is also being rumored as a presidential candidate, would remain in the Interior Ministry. Sekerinska herself toned down the chances that she will run, saying that she doesn’t see two women running for President, alluding to the likelihood that professor Gordana Siljanovska Davkova would be the opposition nominee. Zaev took himself out of the running several times so far, although only after declaring himself “the ideal candidate”. The party is still considering whether to run a “consensual” candidate, meaning someone who would also be acceptable to its DUI coalition partner, in order to get its support in the first round of the elections scheduled for April 21st. 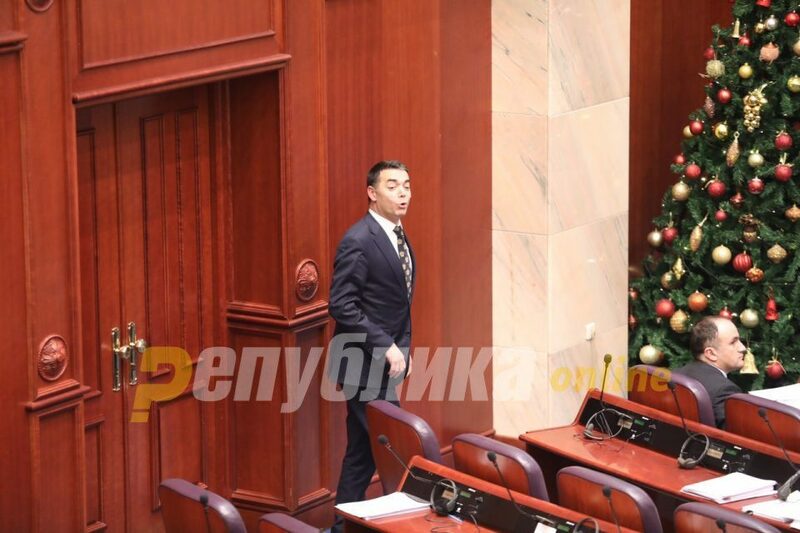 Also unresolves is whether SDSM would agree to hold early general elections along with the presidential, as the opposition VMRO-DPMNE party demands.